The flowers are a bright yellow and occur in clusters of 5 - 12 flowers. They are borne on a long stalk. 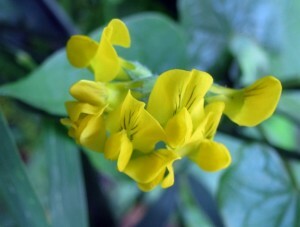 The flower is typical of the pea family (keel, wings and standard - see illustration on gorse page). If the flowers are fertilised, then seed pods form that are black when mature. 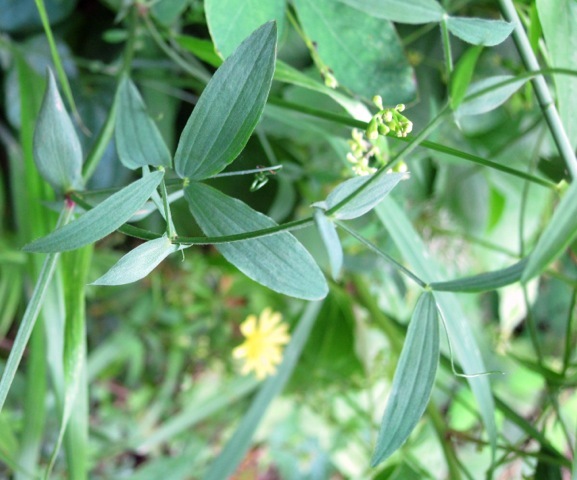 Possibly the most common yellow flowered plant with tendrils - which is 'uses' to scramble up over other vegetation. It can be up to a mtre or so in length.It has a widespread distribution but is common on banks, in hedges and grassy places. It flowers from June onwards. Lathyrus pratensis.